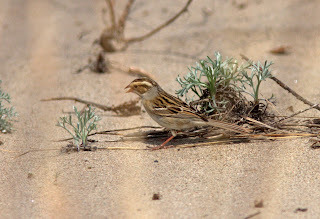 This past Friday I headed down to Rondeau to do some serious birding. I spent three days there and in the area. Some decent birds were seen, but the quantity was not there yet. Weather was fairly good except for a violent storm Friday afternoon which swept through southwestern Ontario. 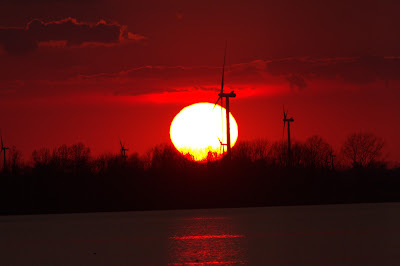 It was not too bad along the lake, but places inland suffered worse. A large White Pine came down along Lakeshore Road severing the hydro lines. It took a long time to get things back up to speed. 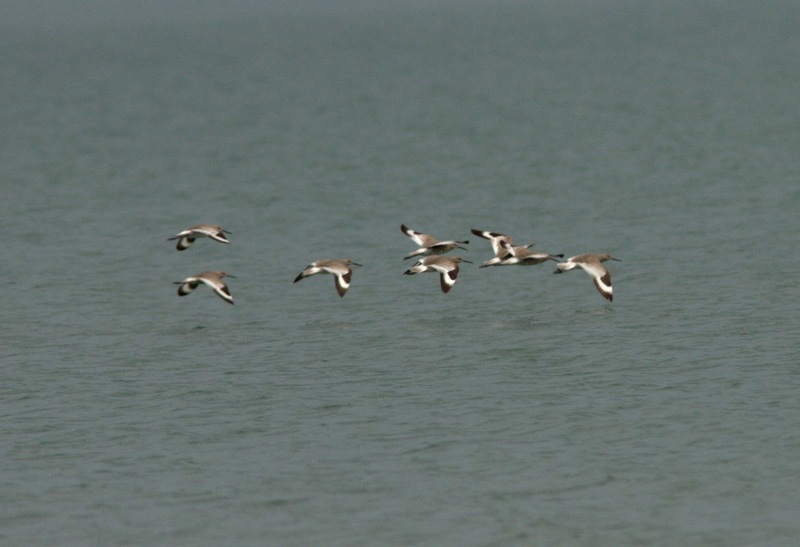 Many first-of-year birds were seen over the course of the few days. 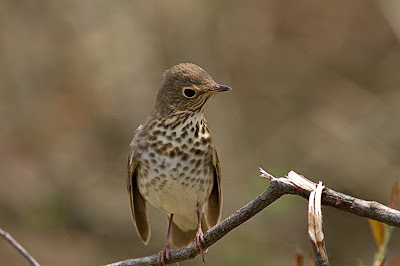 There were still tons of Swainson's Thrushes and other thrushes from the big fallout a couple days previous. 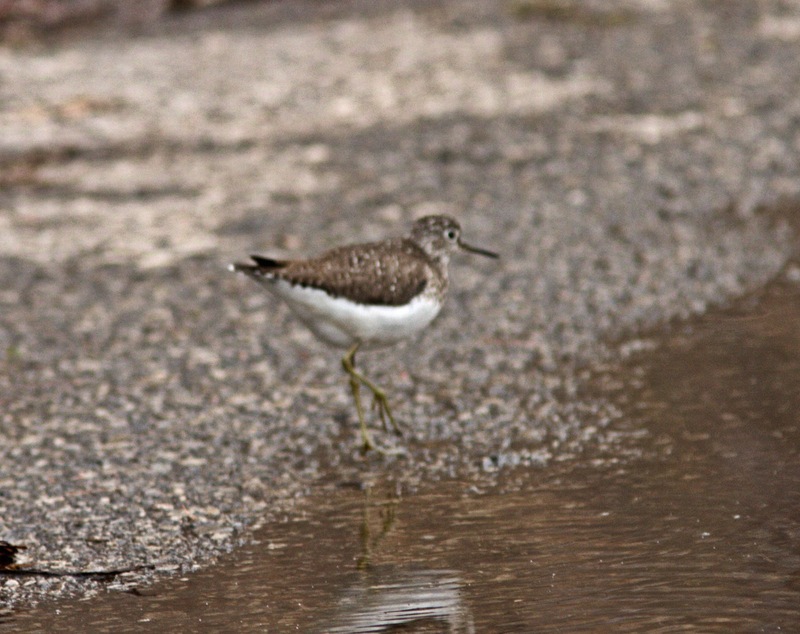 South Point trail has not been checked too often since it is still mostly flooded. 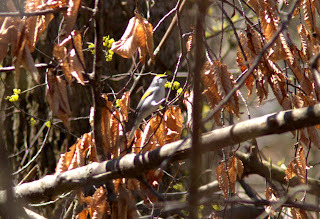 The times we did check, there were very few birds. 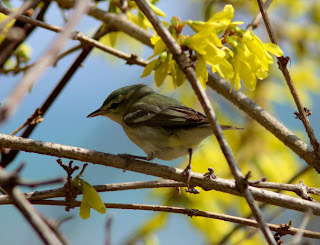 Some hybrid warblers in the form of Brewster's were seen. We had one singing a Blue-winged song at maintenance. Even though it essentially looked like a Blue-winged, I did not like the wing bars. Later on I thought I came across a Golden-winged, but the head was all wrong. I was not able to get a proper photo of these two birds though. Saturday was a nice day. 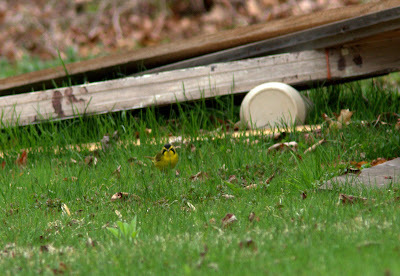 Just off Bennett Road, we encountered 3 Prothonotary Warblers in a battle for territory. 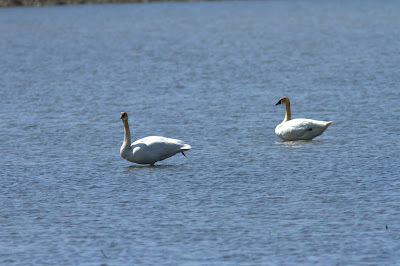 They were continuously chasing each other and very active. As a result, this is the only photo I could get! 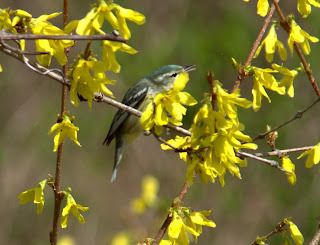 A female Cerulean Warbler was putting on a show at the NE corner of the park for many to see. 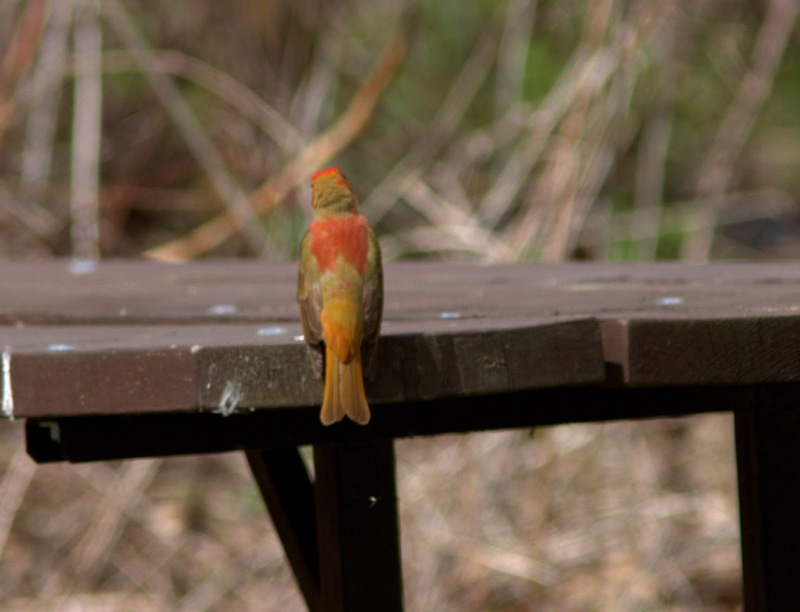 Summer Tanagers have made a good presence this year not only in Rondeau, but many spots. This species seems to be becoming quite regular in spring migration. Rondeau has had four or five, and sometimes two were seen together. 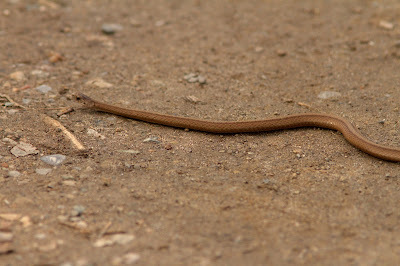 There was one in the campground I got to see. 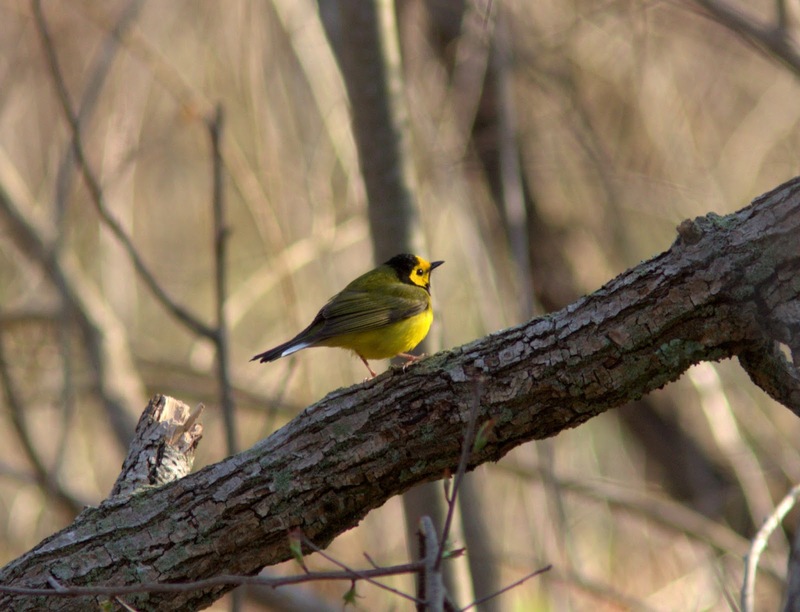 In the evening, a very yellow individual was found near the start of the marsh trail. 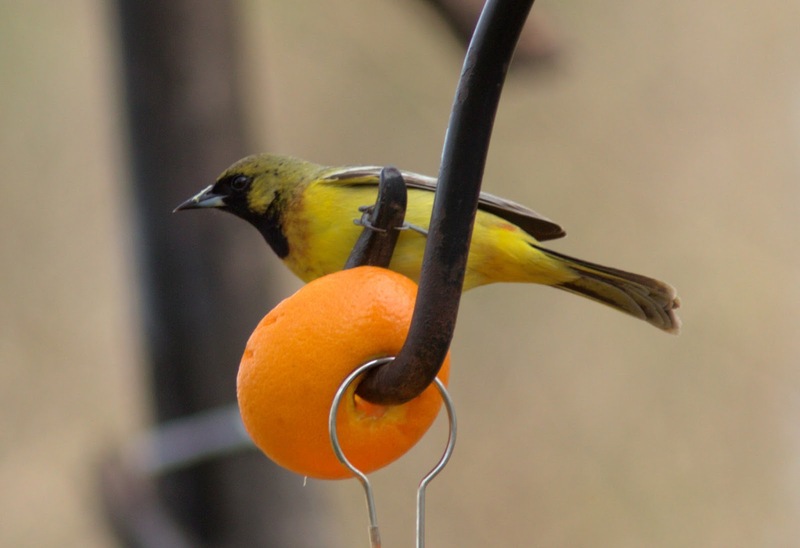 It was taking advantage of wasps near an old cottage. 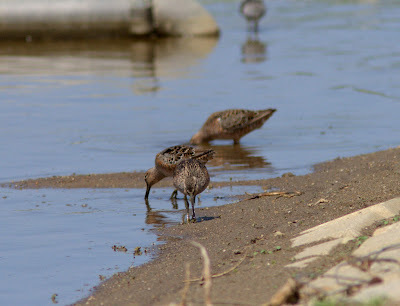 Saturday afternoon we went to the Blenheim Lagoons to see Long-billed Dowitchers and other shorebirds. These dowitchers are somewhat uncommon in spring migration. 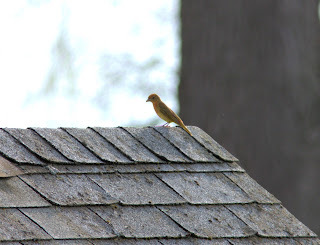 The evening was quiet pleasant, and after seeing the Summer Tanager, I started walking the marsh trail. 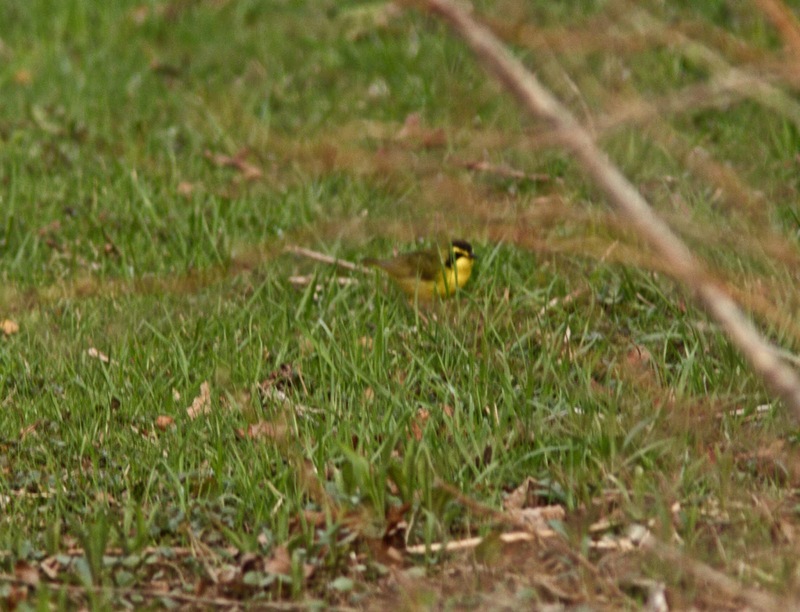 To my delight, I found the Kentucky Warbler that was seen earlier in the afternoon. Josh Bouman joined me for a walk out marsh trail. It was fairly productive with several warblers seen, including another female Cerulean. 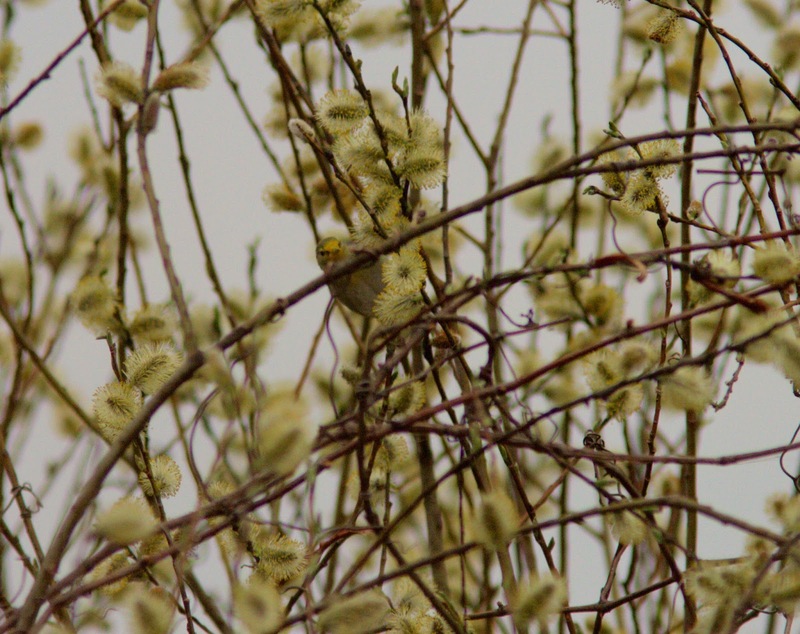 Some early Blackpoll Warblers (inc. females!) were also in the mix today. We also got 2 each of American and Least Bitterns. At the parking lot just before leaving, a Common Nighthawk circled overhead to finish the day. Sunday produced some decent birds. 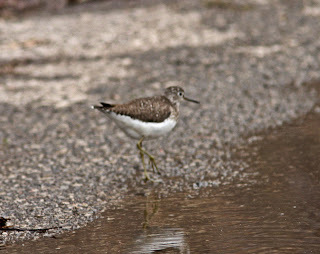 After checking south point trail, we walked out marsh trail. 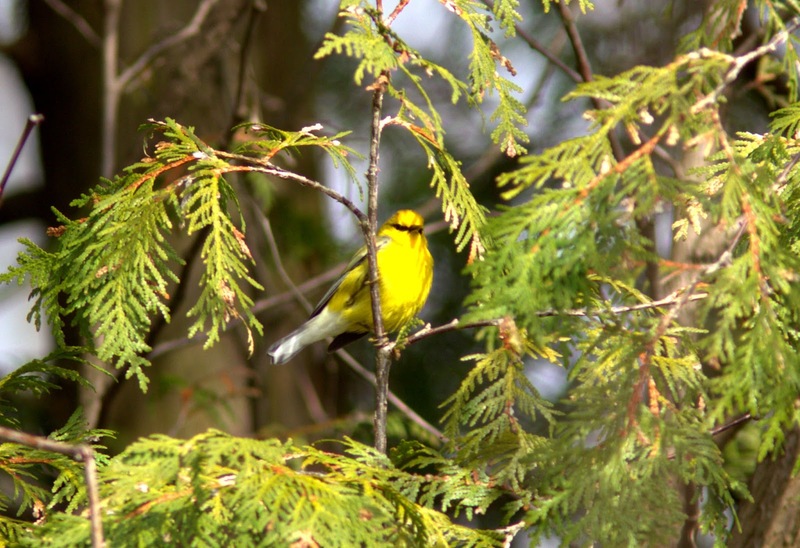 A nice male Prairie Warbler was singing atop a tree, but it did not stay long. 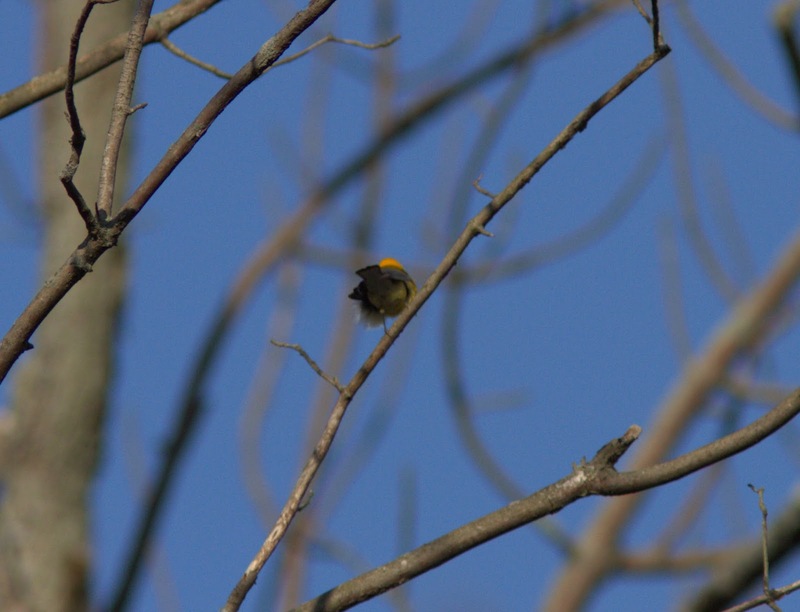 We encountered a weird warbler which appeared to be a Nashville (? ), but very yellow in the face, chin and bill. Perhaps it got into something? I was never able to get a decent photo. 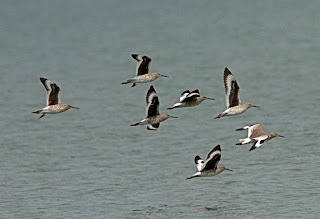 In the afternoon, I found eight Willets circling the north end of the park on the lake. 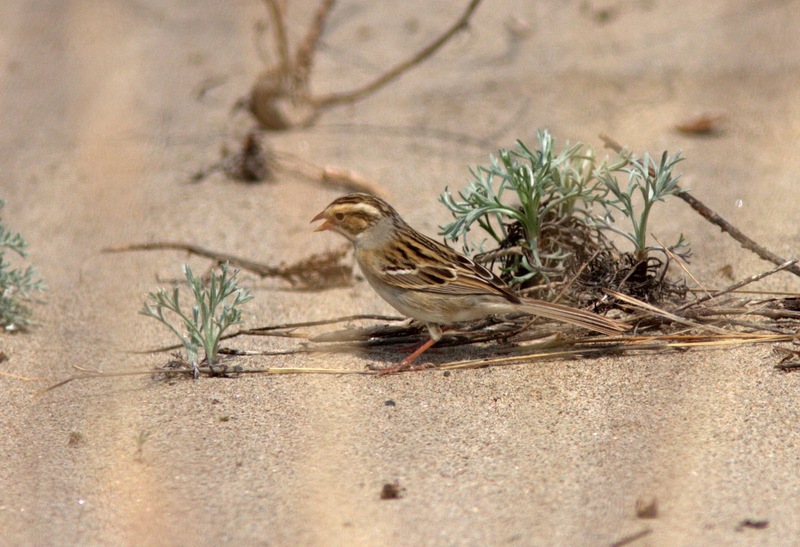 Two Clay-colored Sparrows were nice to get at Dog Beach. 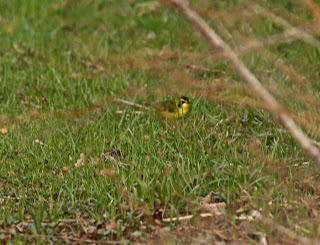 In the evening, I once again found the Kentucky Warbler on the lawn near marsh trail. Monday was very quiet. I took a long walk around the block, so to speak. I found my second White-eyed Vireo of the trip along Gardiner. 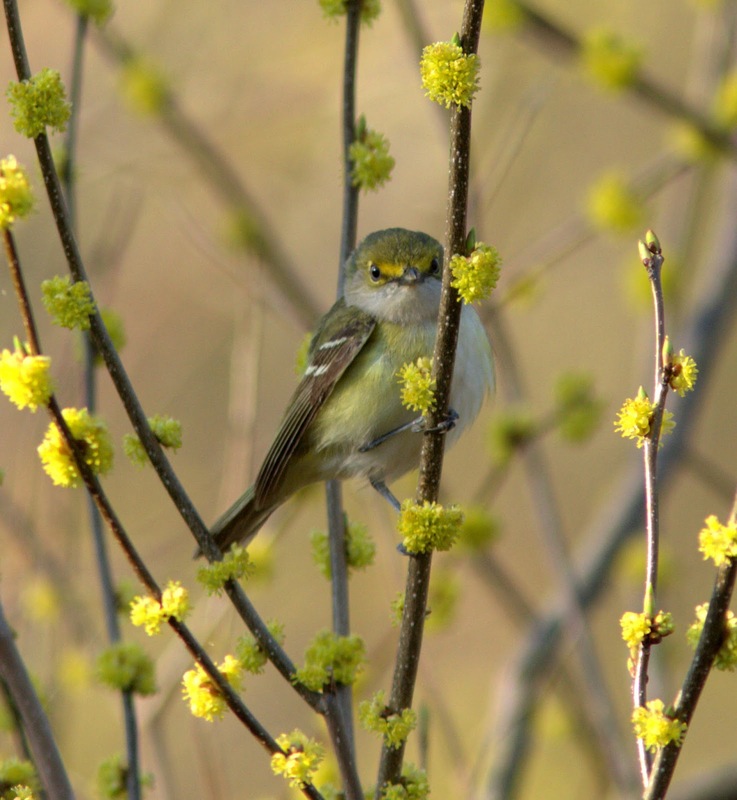 There seems to be quiet a few around this spring of this declining species. I left for over two hours thinking I would not return. 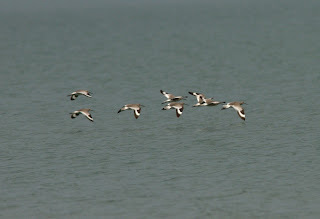 However, word was out that 5 American Avocets were at Keith McLean CA. Back I went! 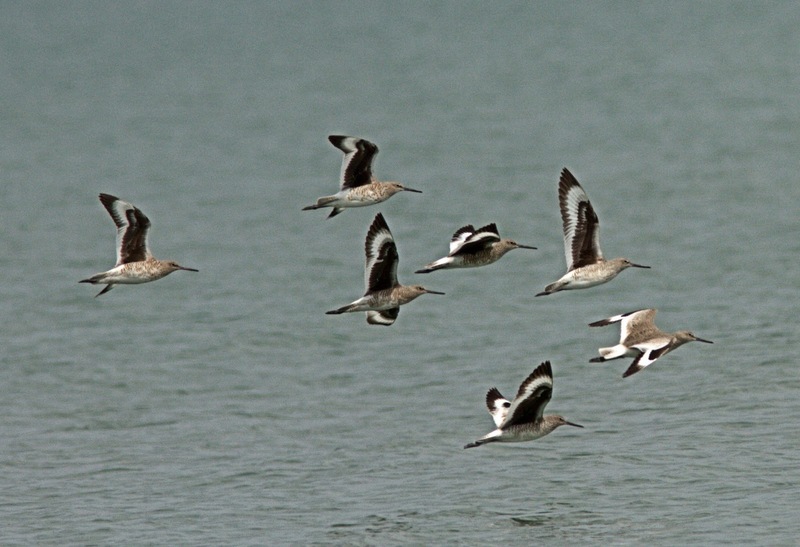 Luckily, they were still present along with at least 18 Willets. They were fairly distant. This spot should perhaps be checked more often! Blake, lots of nice pictures. 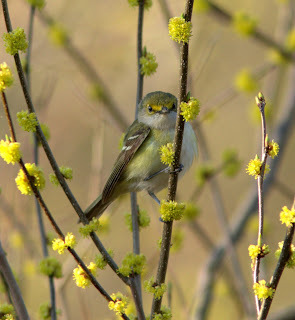 Excellent picture of the White-eyed Vireo!